There are very few things much cuter than holding a tiny pet in your hand. Especially when you know that pet is going to grow into something huge one day. That’s exactly what’s going to happen with this husky puppy. Husky dogs are gorgeous creatures, so large, fluffy and powerful. Yet this Husky puppy manages to go against those views by being so tiny and adorable. The cute pup tries to give it his best shot at a powerful howl but instead, we get nothing more than a squeak like a guinea pig. At some points, he even sounds like a cat meowing. But regardless of that, it doesn’t make him any less loud. 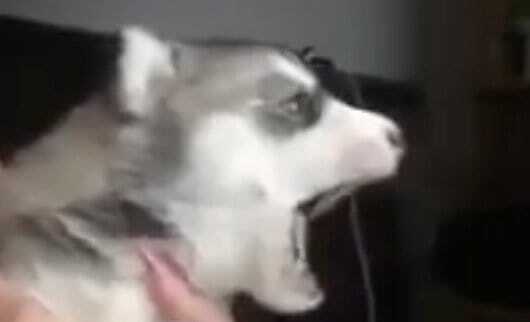 Listen to this adorable squeaky howl below and try not to fall in love with this Husky puppy… We failed.